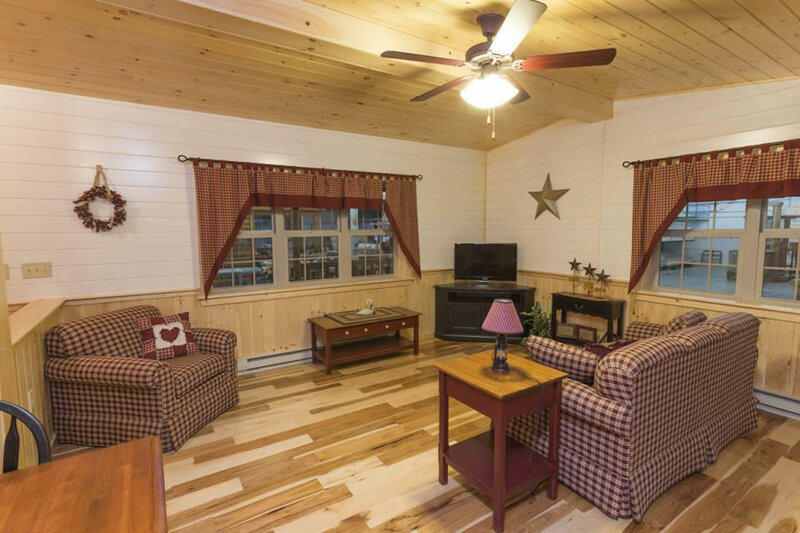 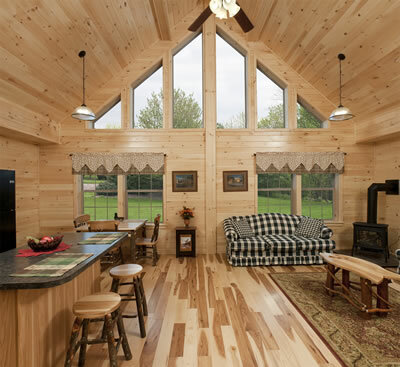 Interiors of log homes are finished with tongue and groove pine or optional painted white spruce. 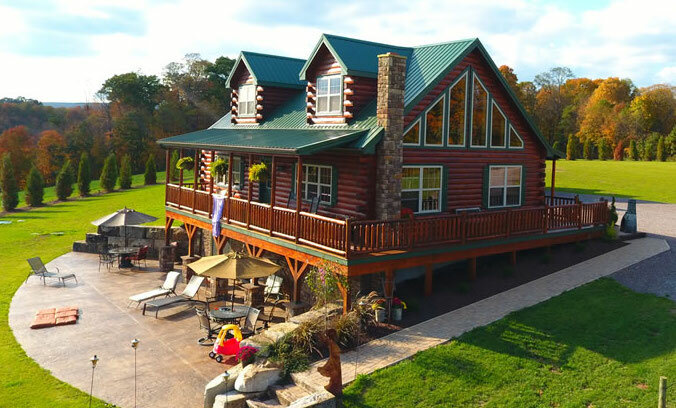 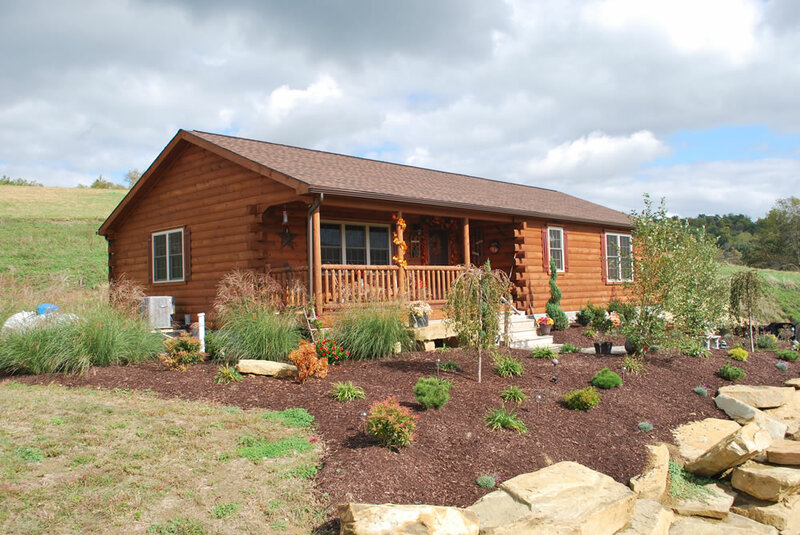 Shawnee Structures offers 10 different styles log cabins from the basic single wide settler style to the beautiful Mountaineer Deluxe Styles. 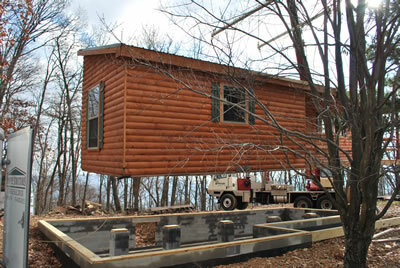 Sizes are from 22' x 30' up to 30' x 56'. 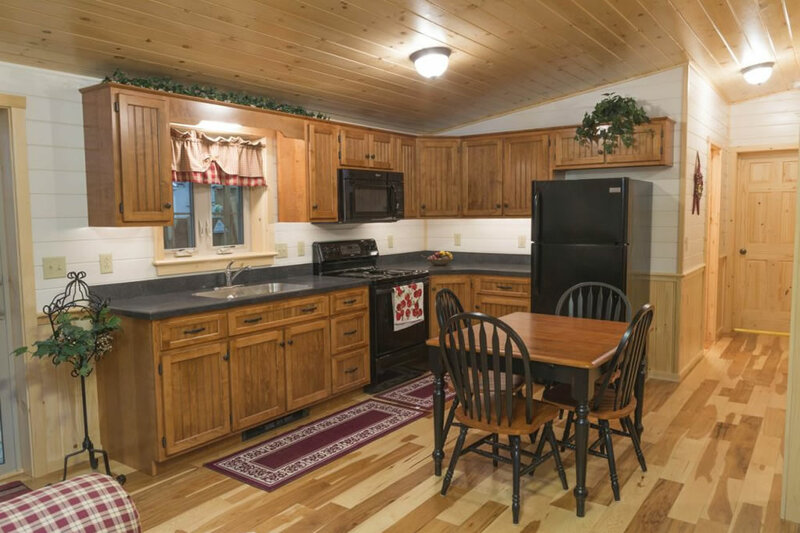 Kitchen packages and many different bathroom options are available. Options available include Jacuzzi Tubs, kitchen islands, metal roof, screened in porches, insulated chimneys, hickory and maple flooring, and many more. 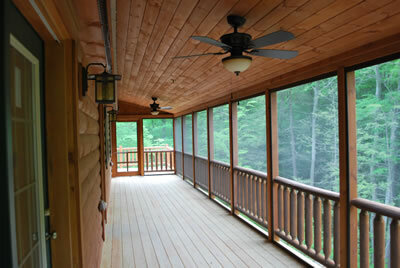 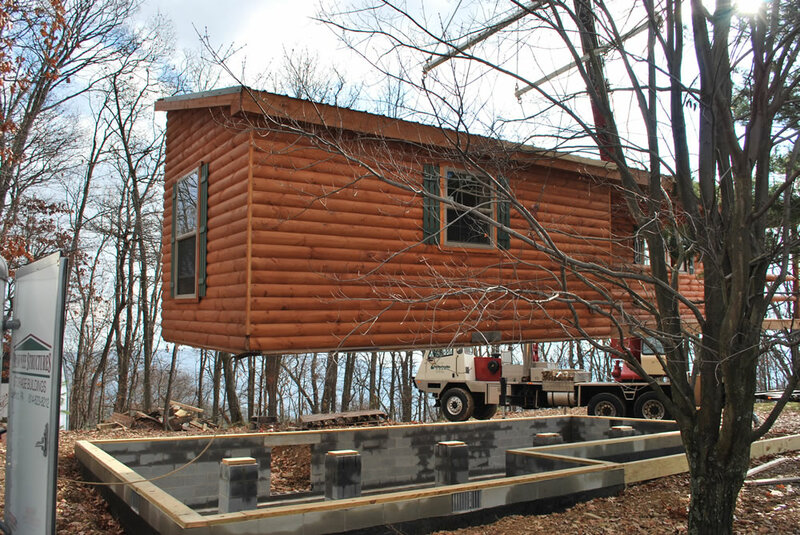 Some of the most common questions and answers about constructing a log home.